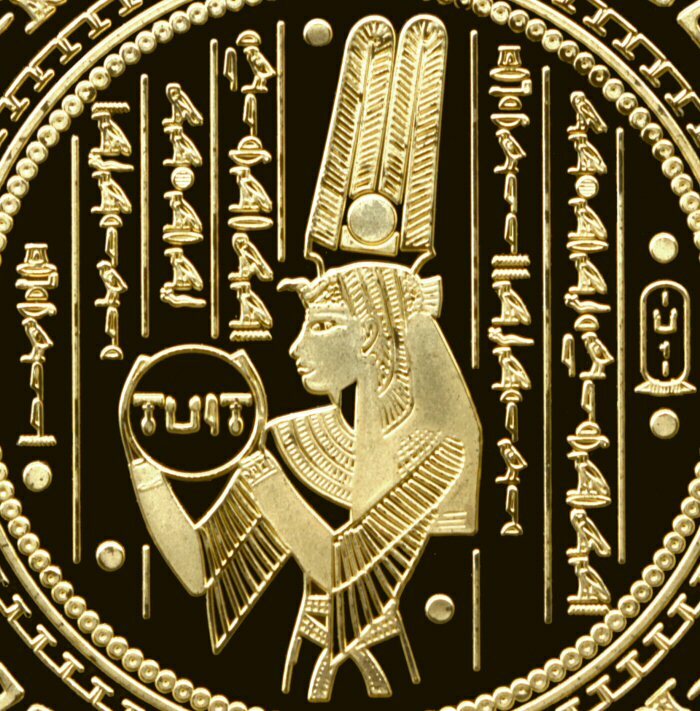 The original Egyptian Round Tuit is a gold disk, approximately 8 inches (20 centimetres) in diameter and a half inch (1.2 centimetres) thick. As with all gold items, the condition of this artefact is excellent. The outer rim of the Egyptian Round Tuit contains a series of hieroglyphs and cartouches. The hieroglyphs have been translated as reading 'Great Queen Neffatuit'. The cartouches contain 4 heiroglyphs whose translation remains mystery, but seem to spell the word 'Tuit'. A series of hieroglyphs around the outer rim also look like the words 'A ROUND TUIT'. Their real meaning is unclear, but the English pronunciation of what they seem to spell has been adopted as the description of this artefact. The inner portion of the design shows an image of Queen Neffatuit holding a Round Tuit herself. The hieroglyphs in this section read 'Great Queen Neffatuit - mother of Tuitkharmen'. 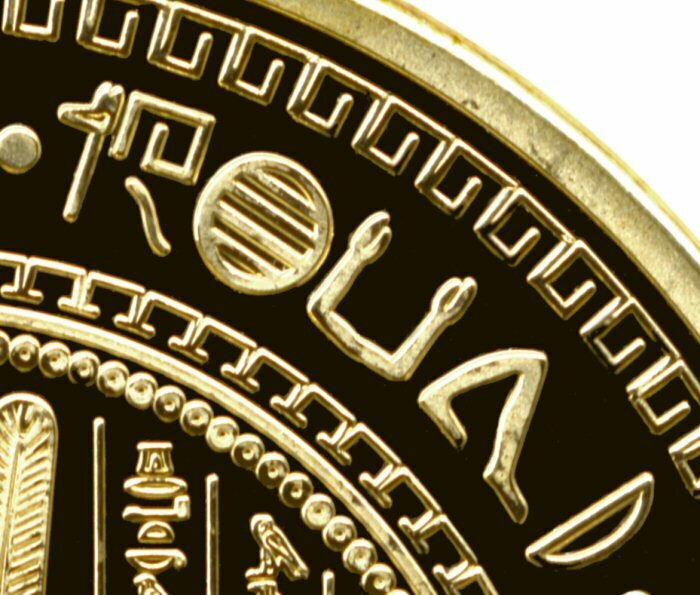 The image shows the real beauty of the Egyptian Round Tuit and the brass medallion captures the details brilliantly. The best way to see full, detailed, large scale versions of the Round Tuit is to visit our Gifts Page, and purchase one of the Round Tuit products on offer. 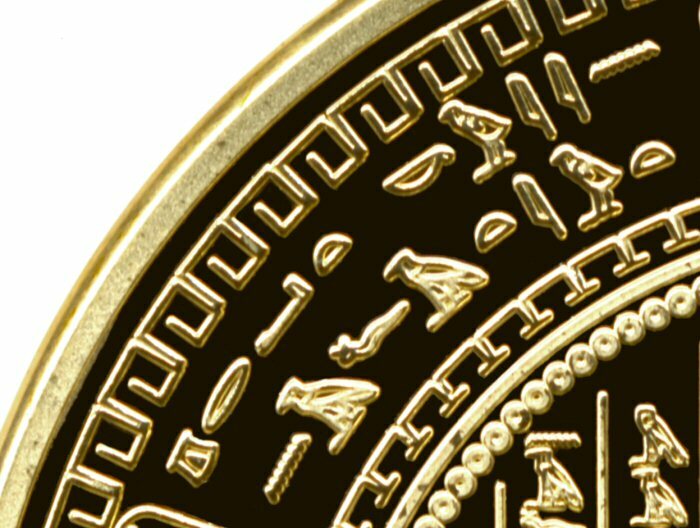 You can also purchase your own 100% solid, polished brass replica of the Egyptian version of 'Original' Round Tuit.